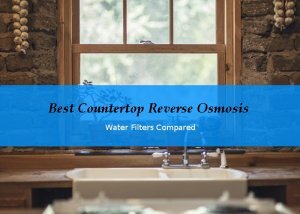 With a growing number of different counter-top water filter systems available, finding the right one becomes more and more difficult. 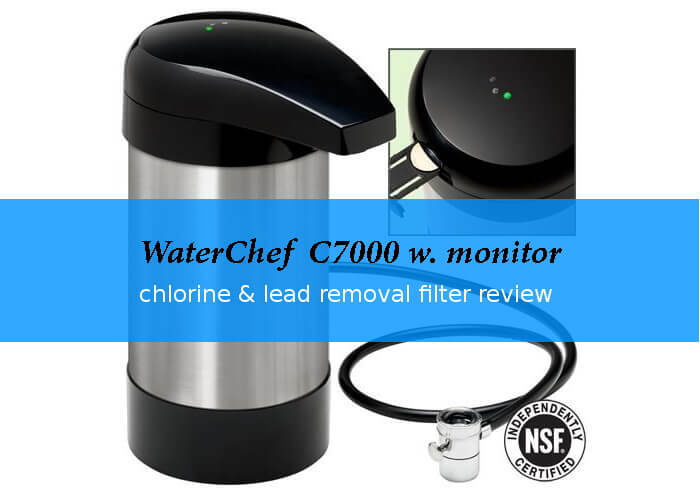 When I looked at the WaterChef C7000 a few days ago, I wondered about the amount of positive consumer feedback for this device. What makes it so appealing although it comes at a much higher price than most systems? List price is over 200 US$, and even with the discount available online it is in the higher price range. First thing I noticed was the design and overall look and feel. Many other systems look "cheap" while this one gives you the feeling to hold something durable in your hands. Maybe it is because it is designed and assembled in the USA, not China. Materials used are brushed stainless steel and ABS plastic. 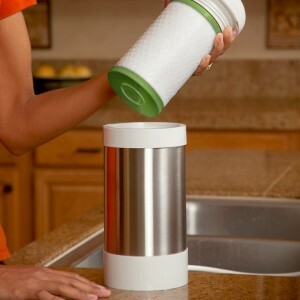 The system is BPA-free and has only a small footprint on your counter. Installation at standard kitchen faucets is easy and fast, without the need to hire a plumber or even use any tools. The required adapters are part of the system as well a the 2-way diverter valve that gives you the option to choose if you want to use filtered or unfiltered water. WaterChef® is the online brand of the Water Safety Corporation, a company with exclusive online brand of Water Safety Corporation, a company with 28 years experience in designing, manufacturing and distributing quality water filtration products worldwide. They developed the Big Block™ filtration technology as well as the Intelligent Monitor™, both incorporated in the WaterChef C7000 Premium filter. 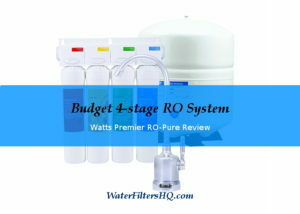 Like all filters by this brand the system is tested and certified by NSF/ANSI Standards 42 and 53 and takes are of all the common tap water problems like Chlorine, Chloramine, Lead, Cysts (including Giardia and Cryptosporidium), Chlorine By-Products (such as Trihalomethanes), Synthetic Contaminants (such as Pesticides and Herbicides), Industrial Contaminants (such as Volatile Organic Compounds (VOCs)) and Petroleum Contaminants (such as Benzene and MTBE). It is not recommended for well water or non potable water unless you add extra measurements to make your water safe for consumption. One filter cartridge lasts one year or 1,000 gallon whatever comes first. 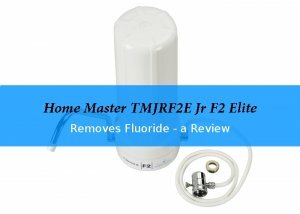 It reduces unwanted contaminants while leaving beneficial minerals in the water resulting in healthier (because of minerals), better tasting water. High initial price for system. Water keeps running after shut off for a bit so placement over sink is advised. This water filter system is available in two color combinations: Black/Stainless, White/Stainless. Amazon often sells it a lot cheaper and also includes free shipping. Check for current price here. The system comes with filter housing and lid, filter cartridge, battery and shuttle for the Intelligent Monitor™, faucet adapters incl. washers, pipe assembled with 2-Way diverter valve. Cost of a replacement cartridge: $60 or less. Get a discount and free shipping here.